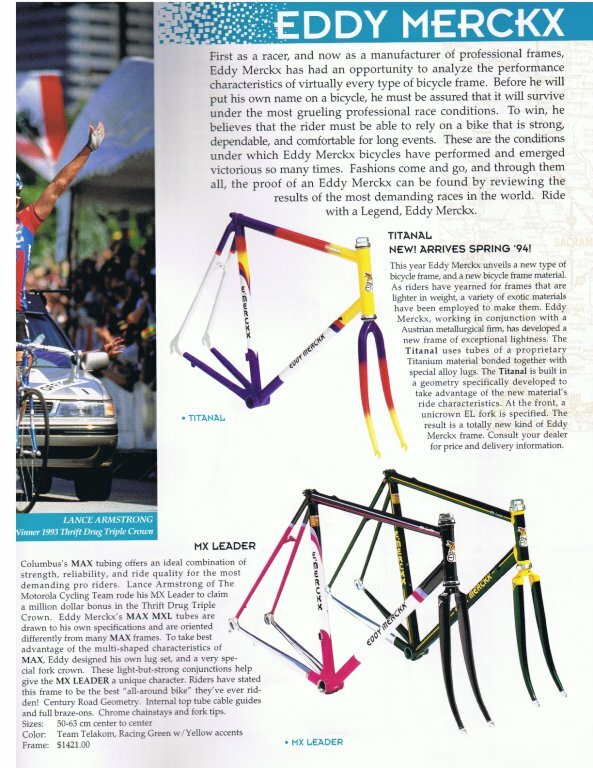 Courtesy of my friend Harry, here are the Merckx pages from the 1994 Gita catalog. There's only two, so read slowly! 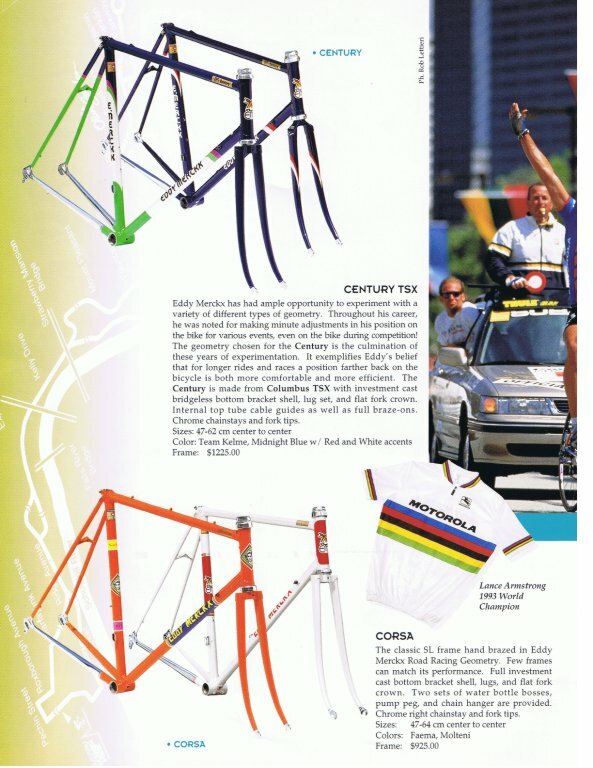 The Corsa's shown are in two replica color schemes, and both are sporting replica down tube lettering instead of the normal Merckx decals. Retail price: $925. Oops, I cut off Lance's head in the scans. I believe thats a picture of him winning the CoreStates US Pro Championships. Whatever race its from, its prior to his winning the '93 worlds, based on his jersey. The Titanal was new for 1994. Apparently, its a bonded Titanium frame. I've never actually seen one. Who actually produced these? What frame manufacturer in Austria was producing bonded frames in the mid-90's? Click any pic for a high res version. Enjoy!